What is the ‘admin’ permission in Piwik? You can create users and assign them the ‘admin’ permission on a given set of websites. Users with the ‘admin’ permission can edit the website settings (Name, URLs, Timezone, etc.). 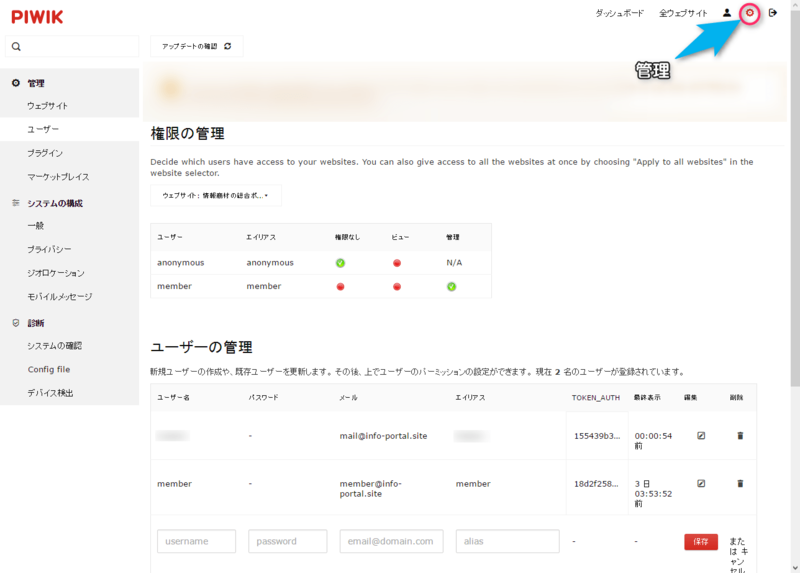 They can also grant other users the ‘view’ or ‘admin’ permission on the website(s) the user has ‘admin’ permission. Users with ‘admin’ permission cannot add other websites and users, and they cannot manage plugins.